FSBT presents Up Front, one of our most popular events of the season. Performed in Studio 1 at the Baby Grand, Up Front gives audiences the chance to experience the dancing in an intimate setting. The program includes highlights from the classical repertoire and new contemporary work. 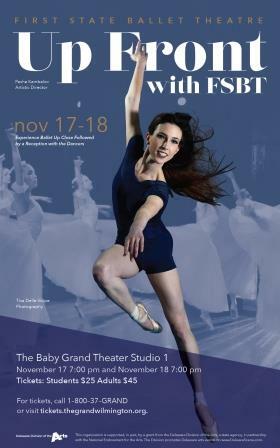 Join FSBT dancers after the performance for a reception in our studios!